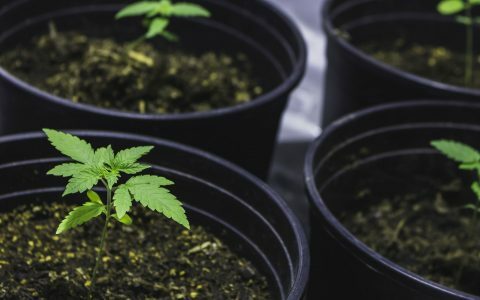 Growing at home may have a reputation for increasing the cost of your electrical bill, or requiring a host of environmentally unfriendly tools to guarantee a decent harvest—but what if there were “greener” ways to start growing your own cannabis? 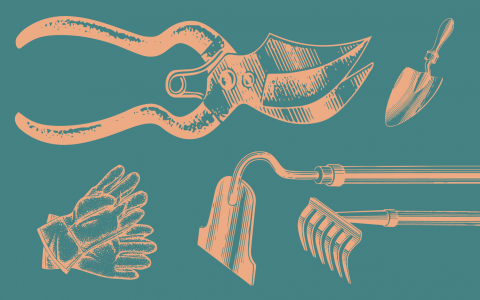 Now that Canadians are able to grow at home, innovative green thumbs are coming out of the woodwork with sustainably minded cultivation tools and mediums geared to those who aren’t quite sure where to start. Nowhere was this more evident than at the Lift & Co. Expo in Vancouver earlier this month, where salespeople from across North America were eager to show consumers their environmentally safe products. 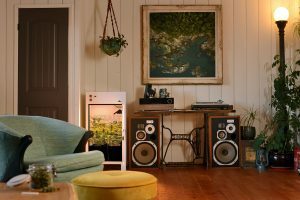 When North Vancouver’s Brad Simon set out to build prototypes for what would eventually become known as the Stealth Box, he wanted to create an answer to the modern grow kit that utilized the smallest footprint possible, while including all necessary tools and accessories—and at the best price for the consumer. “We tested out tons of different lights, different nutrients, different soils,” Simon told Leafly. It may sound too good to be true, but it gets better: the all-encompassing kit includes everything needed from seed to harvest, including a seedling dome, watering can, scissors, organic living soil, nutrients, cloth pots, lights, filters, and a grow manual that takes the user through a step-by-step process. And at $1,495, it falls in line with the cost of other more conventional grow kits. Simon says the beauty of the Stealth Box is its simplicity. The locking box is also built to comply with federal regulations and allows for exactly four plants. When choosing the organic living soil for the Stealth Box, Simon opted to keep it local and sourced from Gaia Green, a company based in British Columbia’s Kootenay region with 30 years in the organic fertilizer business. 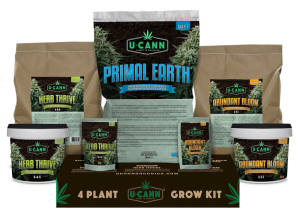 It recently launched a new line of products, U-Cann, which aims to help novices take the guessing game out of growing. 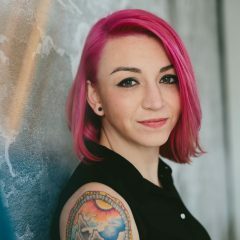 Colleen Ross, Gaia Green’s ethics and marketing manager, is also involved in research and development for the company. As an organic farmer whose passion sparked her interest in cannabis, she said she was rather disturbed by the amount of synthetic products that she saw being used on plants that were intended for medicinal use. 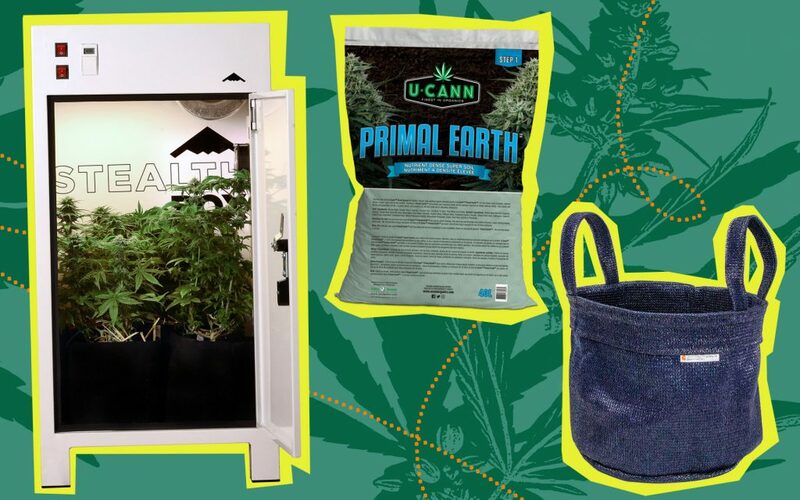 Ross says Gaia Green’s new U-Cann brand makes it easy for health-minded consumers who may not know what type of medium or nutrients are needed to grow cannabis plants. Each of the line’s three components comes from ethically sourced, organic ingredients suited to the unique needs of the cannabis plant. She says U-Cann formulations not only improve plant performance; they also protect against common diseases like moulds and mildews. Step one, Ross says, is U-Cann’s Primal Earth, a nutrient dense super soil. Herb Thrive organic nutrients help to increase plant growth during the vegetative stage, while Abundant Bloom, a second nutrient, is meant to be used during the plant’s flowering stage to increase bud production. If you prefer to stay away from grow kits, finding the right pots and grow bags that allow plants to be easily uprooted and transplanted can be challenging. The Green Bag Company based in Revelstoke, BC has come up with a solution that not only diverts potential waste from landfills; it’s also biodegradable and durable, able to withstand temperatures between -30 degrees to 70 degrees Celsius. At Green Bag Company, vibrantly coloured grow pots are manufactured from the excess material used by parent company Shade Sails Canada, which has been manufacturing shade sails intended for use on sailboats for the last 20 years. “Instead of throwing it out, we’re using the leftover from the shade sails to make grow bags,” the company’s Anne Murphy told Leafly. The unique fabric comes from Australia and is so expensive, Murphy said no one would purchase it to make grow bags, so the company began manufacturing their own. 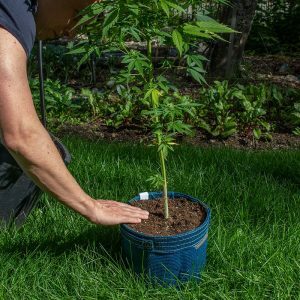 Green Bag Company makes one-, three-, five-, and 10-gallon bags, as well as seedling cones and special transplanter pots that are fitted with Velcro along each side to take the struggle out of transplanting ($14.99 to $39.99). Transplanter kits with multiple pots are also available ($70.99). The reasonably priced, breathable, and biodegradable bags are also UV resistant and BPA free.